Daniella Rabino currently leads the PLAY Project, after several years of preparation in children’s community care with a BSc in Elementary Education, MA in International Education and Development, and many years experience with children in diverse settings. 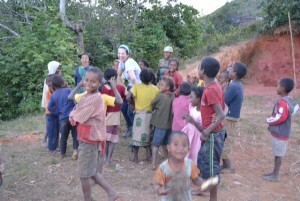 She was the lucky last student of Alison Jolly at the University of Sussex, and together they built these dreams for the next steps to include children in Madagascar’s future. She is prepared to open space for children’s identity as it relates to community agency: weaving their growing ideas and perspectives into rooted local action. Where does education come in? Daniella Rabino, project founder of PLAY, Protecting Life through Active Youth, first asked this question during a study abroad trip to Madagascar during undergrad. 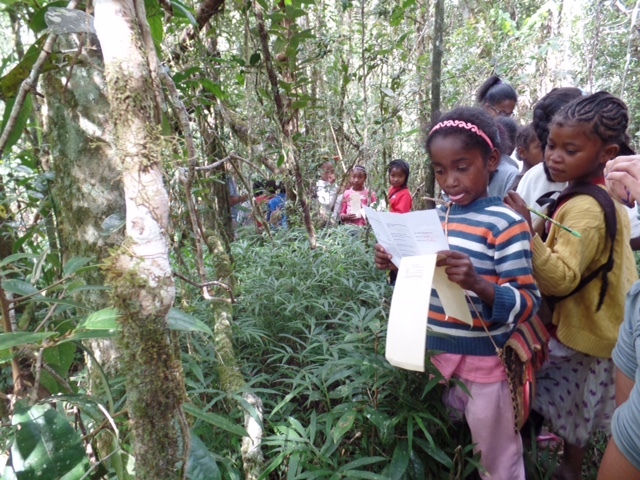 Having already taken a course on Madagascar conservation and in the midst of her elementary education program, Daniella found herself wondering about the intersections of conservation and education. 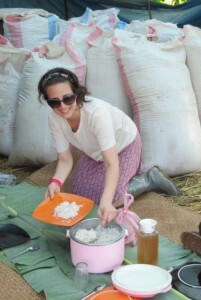 In 2011, Daniella received a Rotary scholarship to study International Education and Development at the University of Sussex under the mentorship of primatologist and lemur biologist, Alison Jolly, where she began developing her idea for PLAY. I started realizing that these issues were big and the intersections between the disciplines were not really being addressed in a way that I’ve been thinking about…that no one else was really going to take them on. 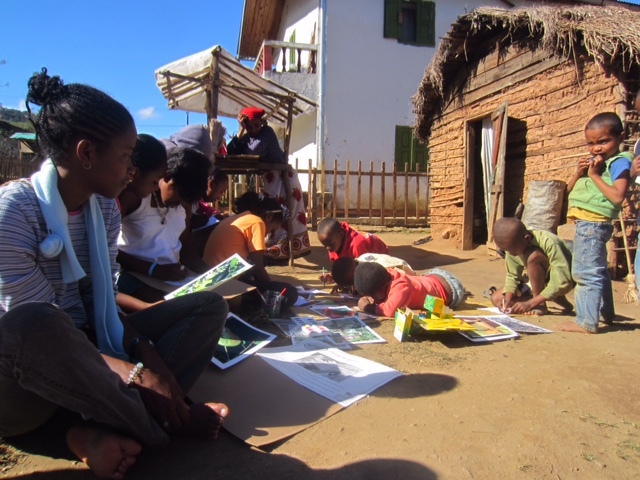 In our conversation with Daniella, she tells us all about PLAY, what inspires her, and the challenges she has encountered along the way of developing a platform for rural Malagasy educators to foster sustainable communities through elementary education. During your trip, you noticed areas where there might be a possibility to bridge these disciplines. Can you tell me more about how you developed the concept of PLAY? DR: The old conservation language always talked about people in Madagascar, the rural poor, as destroying their own future as though they’re committing ‘ecological suicide’. However, as I met with teachers and children in different villages, I realized that these people wanted to know more about what they could do to help. When teachers would ask me about how our rain forests were doing in New York, it started putting in perspective for me how limited their access was to global perspectives of Madagascar’s incredible biodiversity and at the same time, how it relates to their unique vulnerability. Multiple teachers came to me and were concerned about how their environments were changing and what it meant for their children – what could they do to prepare their children. 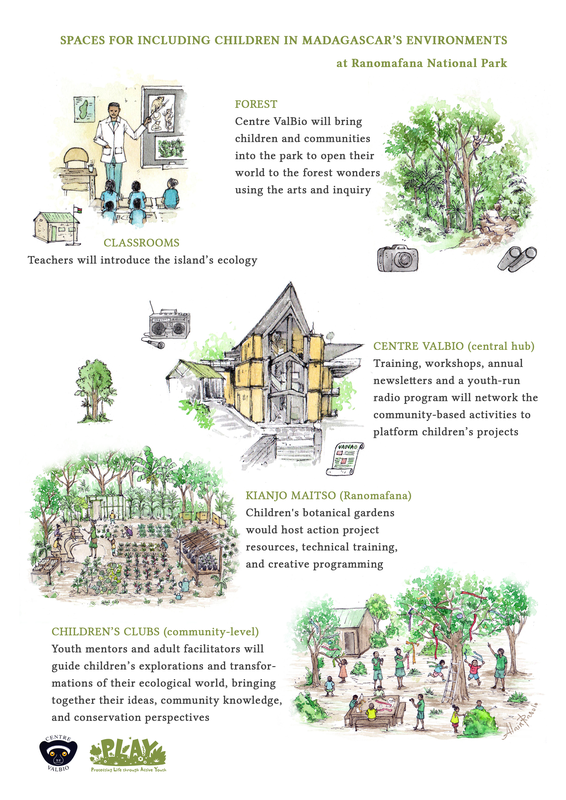 It seems so fundamental to start with communities knowing that their biodiversity exists and is really special. Yet, I realized that a lot of conservation and development efforts weren’t engaging with the systemic problem of how to address these issues by including people who care about their own communities. So many of the questions in conservation overlap with children. 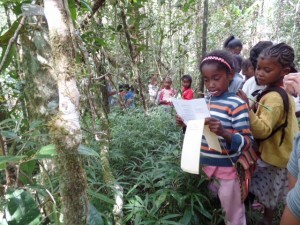 In Madagascar, two thirds of the 22.9 million people are under 18 and most of them never leave their village. I don’t know about other areas, but in the Ranomafana region, there are two secondary schools among all 130 villages, and they’re both private. This means that most kids grow up without learning anything about where they live or what they can do to take care of their community and themselves. To me, this seems to be a huge problem. What role does PLAY have in the picture? DR: The idea of PLAY is that there’s life in Madagascar that’s vulnerable and it’s connected and that protecting that life involves practice. I’ve always been interested in how parks can be more inclusive of children and communities. Creating more fluid relationships between parks, people and learning resources has always been the big idea. 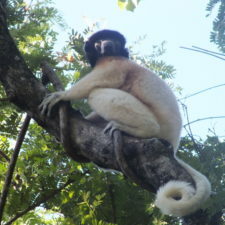 What were some of your big takeaways from your most recent year long trip to Madagascar? DR: The biggest thing is that it’s not really about any one of us. Nothing I do really means anything unless it’s what the people there want to see and it’s done in a way they can get behind in their own way. There are a lot of experienced people in Madagascar from Madagascar who share similar values to me about rural involvement and creative learning; it’s kind of exciting to meet these people who are talented, passionate, care about their own country, and want to do something. It’s made me realize that none of these ideas have really ever been mine. Personally, I’ve always been driven by noticing what other people are saying and then trying to help them do something with those ideas. It sounds like you’re committed to including and collaborating with the communities your project would impact. Are there any challenges you encounter from keeping this central part to your mission? DR: A lot of what I’m trying to do relies on partnership. The effectiveness of those partnerships depends on sharing similar values. Whether the organizations I’m trying to partner with see the value in local people’s perspectives or whether they feel these people have knowledge that is worth including in the process of trying to change things, makes a big difference. Part of the challenge is recognizing when I’m on the same page with someone. Local people need to feel as though their knowledge is valuable. They’re not going to follow through with projects if they’re told that everything they’ve known about their own life is wrong that they’re destroying biodiversity. That sense of shame and fear and powerlessness is too strong and can overwhelm the energy that is involved in being part of a dynamic process, like sustainable development. Sustainable development is not a “one stop shop”, especially in Madagascar. There has never been one solution that solves everything so if it’s not a smooth process of exchange and people aren’t involved in adapting different ideas to work for them, then it’s just not going to work. What is your inspiration? What drives you and keeps you going? 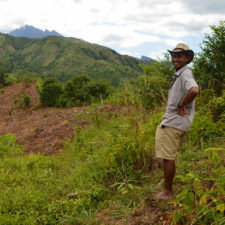 DR: There’s this energy in Madagascar and to me that is such an exciting, hopeful thing. Just realizing that there’s all this untapped energy in people who care about their future and seem to be the best bet for conservation and sustainable development. It’s apparent that there are a lot of great people capable of doing a lot of great things. I’m inspired that these people exist, that they care, and that they would do more, if given the opportunity. Those opportunities just need to be created. 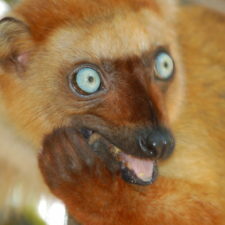 DR: Madagascar is an extreme case of many complex issues coming together. Yet, it’s exciting in the way that every species and every landscape is so bizarre and different and interesting and there is so much to be learned from Madagascar. But because it is so different…it’s so unique…it also is so vulnerable. 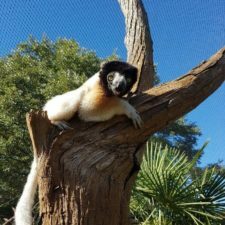 Madagascar is a case study in seeing how the issues that effect people all over the world intersect with the issues that affect wildlife and environments. If these two different types of problems are not addressed in a unified way, both human populations and wildlife are going to be in trouble. When you’re in Madagascar and you meet people who are just so fun and see the world so differently — of course they see the world so differently, their world is so different! You want to root for them; you want these things that come together to work out. Learn more about the work that Daniella is doing with PLAY! Learn more about Centre ValBio, which is PLAY’s partner organization.